Open to older teens and up, this co-ed book club is striving for diversity and different perspectives. Join us in this fun group of folks to discuss the library’s book of the month. We will meet at a different location “around town”. Location and book TBA. We meet at 7:00 p.m. on the last Thursday of each month. 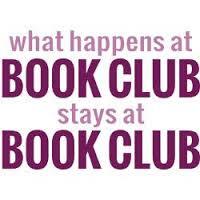 If you would like to host the book club at your location, please contact Melissa at the library, or through the library Facebook page.